One year after the Government triggered Article 50, and with a year to go until the UK’s departure from the European Union, this is a perfect opportunity to reflect on the progress made by the Civil Service in delivering on the EU referendum result and to look at the challenges ahead. There are few, if any, peace-time precedents for the scale and complexity of the constitutional and organisational challenge of withdrawing from the EU. Brexit is therefore a major test of the Civil Service’s ability to adapt and change. I believe we are rising effectively to that challenge and providing critical support to the Government. Since I last wrote in these pages, much has been achieved in supporting the Government to negotiate Brexit and prepare the country for life after we have left. 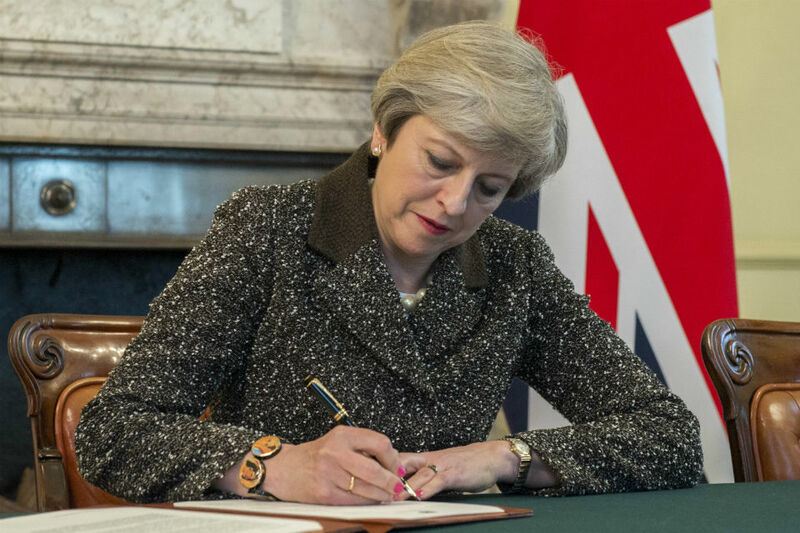 We have come a long way since Article 50 was triggered on 29 March 2017, and today's decision by the European Council to welcome the agreement reached with the European Commission on parts of the draft Withdrawal Agreement legal text marks another critical milestone along the way to exit. The deal reached will protect our economic and security cooperation over the coming period and ensure a smooth transition to our future partnership with the EU. Crucially, it will give businesses and citizens the time they need to prepare for our departure. All of this has required extensive and often rapid work, from providing creative legal and policy advice to support the formal negotiations in Brussels, to reassuring stakeholders in the UK, Europe and beyond about our approach and operational planning on the new customs and immigration systems after we leave. One concrete example of this high-quality work is the European Union (Withdrawal) Bill, introduced in July last year. One of the most significant pieces of legislation ever proposed to Parliament, its passage will mark the end of the supremacy of EU law in the UK. At the same time, it is designed to ensure that the UK exits the EU with the maximum certainty and continuity – so that, as far as possible, the same rules and laws will apply on the day after exit as on the day before, unless and until Parliament decides to change them. This vital Bill is now making its way through Parliament. It is an integral piece in the jigsaw that will ensure that the UK’s statute book functions properly after Brexit. Producing the EU (Withdrawal) Bill is also a great example of the effective cross-departmental collaboration that has characterised the Civil Service’s support for the Government on Brexit. Even more people across government will be involved in putting it into practice. Assessing how to incorporate over 40 years of European law into domestic law is complicated. The work on this, led by the Department for Exiting the European Union (DExEU), which did not even exist 20 months ago, has delivered objective policy analysis and advice of the highest quality, from both policy-makers and government lawyers. Government lawyers have a strong tradition of cross-departmental working. This has been strengthened by the fact that, through the Government Legal Department (GLD), we have brought most government legal teams into a single unified organisation. They are drawing on all their expertise in EU, international, constitutional and administrative law, as well as subject-specific legal expertise (agriculture, trade, immigration, transport, and so on), and on their experience in negotiating international treaties and drafting legislation. Since June 2016, GLD has recruited over 350 new lawyers, many of whom are now working on EU withdrawal issues. In addition, departments have been calling on external lawyers, through panels established by GLD, to assist on particular topics such as financial services, energy and international trade. An important role for civil servants is ‘clearing the thicket’. Policy advisers and other specialists are cutting their way through the legal and legislative complexities of Brexit, briefing Ministers so that they can take the required decisions armed with all the information they need. The various cross-government Functions - Technology, Commercial, Digital, Finance, HR, Legal, and so on - are supporting this work, particularly as negotiated outcomes or plans are turned into deliverable work programmes, procurements and projects. Within the Cabinet Office, the Europe Unit, led by Olly Robbins, has helped draw together this cross-government work too. 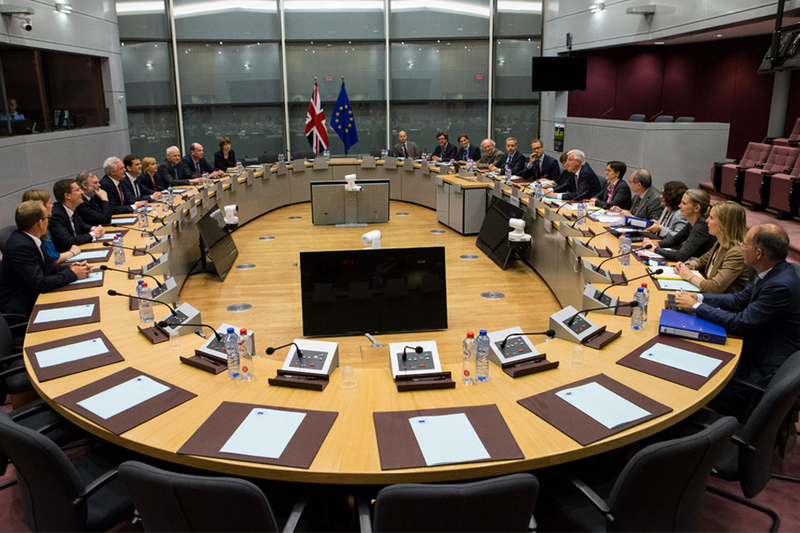 Since its creation in October 2017, this small unit has supported both the formal negotiations in Brussels and the process of coherent and timely decision-making in the UK. It has been a mammoth task, and success has relied on continued seamless collaboration with DExEU and other departments, together with UKRep, our experts in Brussels. We knew from the outset that exiting the EU would make huge demands on the Civil Service and would require all the accumulated professional capability of civil servants. We haven’t hesitated to provide new staff and resources to bolster those parts of the Civil Service facing the greatest pressures. We also recognised that, after four decades, the UK lacked some of the specialist skills for tasks that had been centralised within the EU. Most obviously, the UK was short of the specialist trade negotiators we would need when, as confirmed by the European Council, the UK starts to negotiate and sign trade deals during the Implementation Period. To meet the immediate challenge of supporting the Government in the exit negotiations, we had to get the best out of the many brilliant current civil servants who do have experience of negotiating in and with Brussels. We did this while supplementing that expertise with specialists from outside where they were most needed (as we have seen in the GLD-appointed panels), and tackling the task of improving our skills for the longer term. 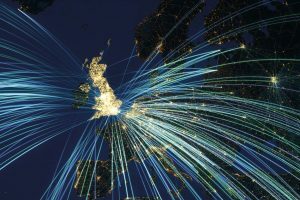 Looking to our future outside the EU, we are now steadily building up the Civil Service’s trade capability through a new International Trade Profession that will allow us to make the most of the new opportunities for the UK in having an independent trade policy for the first time in 40 years. 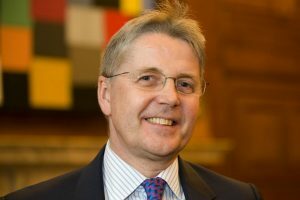 The profession will be launched formally in May, headed by Crawford Falconer, Chief Trade Negotiation Adviser at the Department for International Trade (DIT). It aims to support staff in developing their trade careers and to create a cross-government network of trade experts. DIT itself now has more than 3,500 staff, with global reach through more than 1,400 colleagues in its international network. Recruitment to the department’s Trade Policy Group has specifically included officials with trade and negotiating experience. 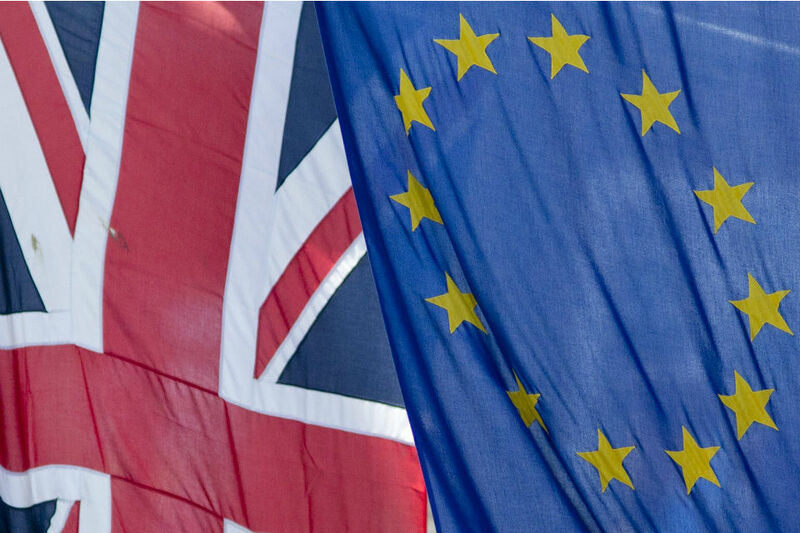 The Government is seeking continuity for business, investors and consumers in relation to the existing EU free trade agreements and other EU preferential arrangements. During the Implementation Period, the UK’s and EU’s shared aim is for international agreements - to which the UK is a party by virtue of EU membership - to continue to apply to the UK as now. The EU has stated that the UK is to be treated as a member state for the purposes of international agreements (including EU trade agreements). DIT continues to work with countries to ensure there is no disruption for business and consumers. Just as for the UK Government, Brexit will have major implications for the devolved administrations of Scotland, Wales and - once it is reestablished - the Northern Ireland Executive. Civil servants in the devolved administrations are working hard to prepare their own statute books, anticipate the return of powers previously held in Brussels, and set out their priorities for the negotiations. This also brings added importance to the relationships between the UK Government and the devolved administrations. Since December, the Joint Ministerial Committee (EU negotiations) (JMC(EN)) has met three times. The Joint Ministerial Committee (Plenary), chaired by the Prime Minister, took place on 14 March, allowing for discussions on the negotiations and on key issues such as the EU (Withdrawal) Bill. Through these structures, progress is being made on common frameworks for the UK, to make sure we protect our internal market and fulfil our international and trade obligations while respecting the devolution settlements. One of the achievements of JMC(EN) was the agreement on frameworks principles in October 2017, which was underpinned by outstanding working by officials across all administrations. Now, the next phase of the negotiations, on the terms of our future security and trade and economic relationship with the EU, is about to begin in earnest. The Civil Service will continue to make it our highest priority to support the Government in achieving the best possible result for the UK from the negotiations and making sure the country is ready for exit. In all this, we are drawing on traditional Civil Service strengths in policy-making, law and finance. But we have not taken our eyes off what comes after Brexit, and building the new strengths we will need. The work of the cross-government Border Planning Group typifies the detailed, collaborative approach needed to make sure we are ready for withdrawal under all scenarios. This cross-departmental group is planning not only for Day 1 after withdrawal - to ensure continuity of border management, maintaining security, the flow of goods and people, and the collection of revenues - but also for the longer term, so that the border functions properly after Brexit. This is no less than the public would expect or demand. Making sure the UK’s borders continue to work effectively when we leave the EU is a critical responsibility of government. This work has obvious security, safety, health and economic dimensions. The cross-government Border Planning Group (BPG) typifies the combined preparatory and long-term planning role of the Civil Service in the lead-up to and looking beyond Brexit, from Day 1 onwards – whatever the eventual circumstances of the UK’s withdrawal. The BPG involves all the government departments responsible for border-related activity. It consists of around 30 separate departments and agencies, including HMRC, Defra/FSA, Home Office/Border Force, DfT, DIT, BEIS, FCO, DCMS and DoH. Its focus is on operational effectiveness, rather than policy, and it is planning the readiness for and implementation of what is negotiated and agreed. Supported by a new cross-government Borders Delivery Group, the group’s task is to scope and define all the changes needed to ensure that the border operates when we leave the EU, and then that those changes are planned and delivered effectively. However, making the border work is not just about what government does, but how industry, and much of the transport sector, functions. The Borders Delivery Group also manages engagement with the many organisations that use, operate and support the border, making sure they all understand and plan for the changes that are coming. They include border organisations (like port and airport operators); hauliers, freight forwarders and agents, ferry operators and airlines, and Local and District authorities that carry out compliance functions for ports and airports. Through this work, we have gained a clear understanding of which border locations EU exit will most affect. For example, the roll-on/roll-off ports (such as Dover) and Eurotunnel, which handle a high percentage of the UK’s trade in goods with the EU. Also, we now have an appreciation of which sectors and industries will be most affected by change at the border. As we work more with these industries and locations, we are increasingly engaging with EU counterparts at an operational level, so that we are all working to similar planning assumptions. Lastly, as a Civil Service, we could hardly fail to be aware of the recent, public, conversation around the reliability of analysis and information produced by parts of the organisation in relation to Brexit. I would only restate that we are constitutionally committed – and culturally conditioned – to give honest, objective, impartial advice, based on the available evidence, regardless of any other factor. I have complete faith in my fellow civil servants and that we will continue to meet this high standard. I would like everything to stay the same as we leave the european union. Brexit brings many opportunities for Civil Servants. It is an exciting time. As a German national, having lived in England for 25 years come September, and having worked for the Civil Service for 10 years come May, I'm particularly interested in the future of foreign nationals. Will we be able to keep our original nationalities, and if we have to assume British citizenship, or the right to remain, at what cost for the individual? Will our families and friends still be able to visit from abroad without any Russian- or USA-type visas? I'm sure that it is appreciated that the futures of 3 million disenfranchised human beings are somewhat "on hold" - should we stay or should we go? What would be the point of leaving the EU if everything would be remaining the same? So when will the agreement become official? What is the Process? Most of the Important bits (most of the document) and highlighted to indicate that they are agreed by negotiators. Brexit is a good thing, self determination with out foreign interference is a better thing. Enough said I think. Exciting time to be in the Civil Service departments involved, with lots of opportunities. We should embrace change, not be afraid of it.